#Focus – Nissan’s World Sports Car failed attempt, the P35. – Historic Motor Sport Central. 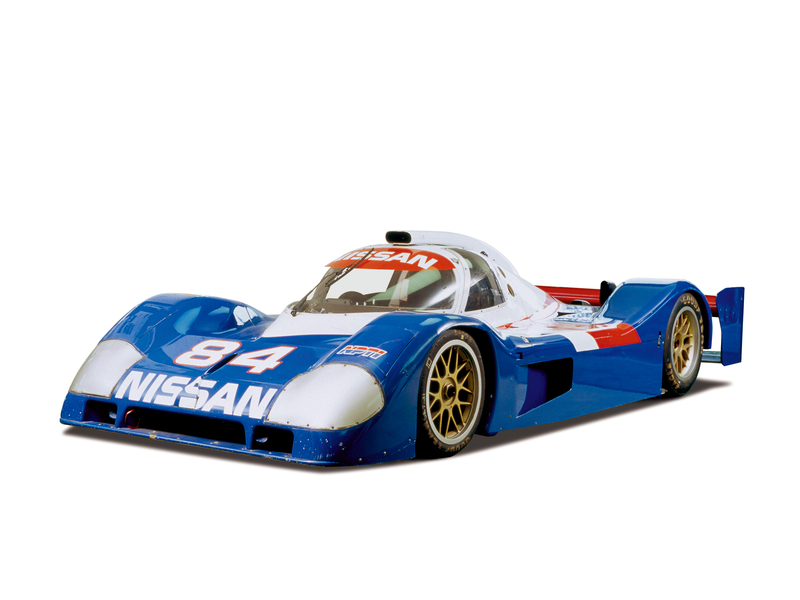 Nismo turned their head to Nissan Performance Technology Inc. known as NPTI in the North American championships and responsible for their IMSA GTP and GT Championchip operations as soon as 1991. The idea was to develop a new car while Nismo – Nissan Motorsport – would develop the engine suited to the new regulations. The Nissan P35 with its final aerodynamic package. Yoshi Suzuka and Trevor Harris were the man in charge of the design, the P35 was a very different design compared to the usual GTP cars of NPTI. The car was intended to compete in various championships so all new parameters were taken into account. Cooling for engine and brakes were ensured through front located radiators and inlets, engine intake was located on top of the cockpit, an all new feature for the Nissan designs. Side pods inlets were used for oil cooling and downforce side, the car sported a very low rear wing in order to reduce the drag as needed for the European tracks. Chassis side, carbon fibre was intended as it was now the established trend in sports car racing but initial test chassis were built of hybrid aluminium and carbon fibre as NPTI didn’t have the required experience to build the carbon fibre ones. 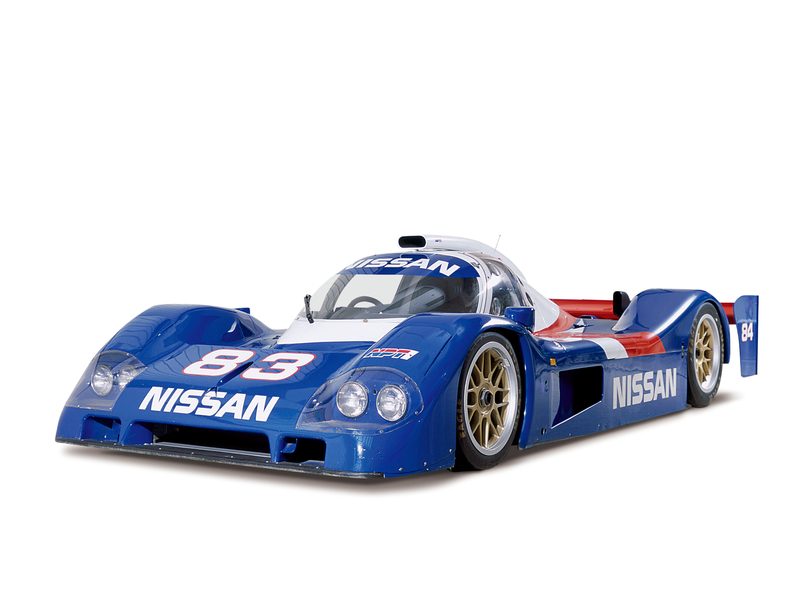 The Nissan P35 with its double deck rear wing as tested initially. Engine side, Nismo developed a 3500cc V12 in order to meet the new engine rules for normally aspirated engines and named it the VRT35. Thought as an endurance engine, the V12 was a high-reving unit capable of 12000RPM which resulted in 630HP claimed. 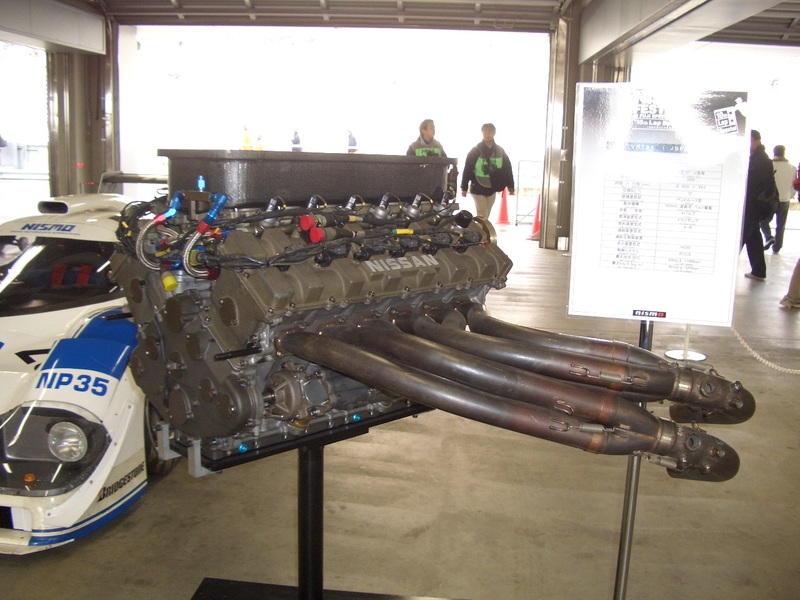 The parameters were very similar to the requirements of Formula One and although Nissan developed a V12, Peugeot, Toyota and Mazda all were to use a V10 developped in house or as for Mazda as a re-named engine unit (Engine Development/Judd). Unfortunately and while heavy testing had begun, the project was canned by Nismo due to economic troubles. Maybe this was also linked to the car itself as the new generation of car to race were basically bodied Formula One. It was said that while the concept was great, the engine did not reach the requirements of the new formula… …And anyway, the 1993 FIA WSC was cancelled due to a lack of entries. One of the few pictures of the P35 in testing trim. In total, three P35 chassis were built in total for testing purposes and one did actually raced..! Yes, a parallel program was put together in Japan by Nismo themselves using the P35 basis with the aim of developing a high downforce package suited to the All Japan Sports Prototype Championship tracks. 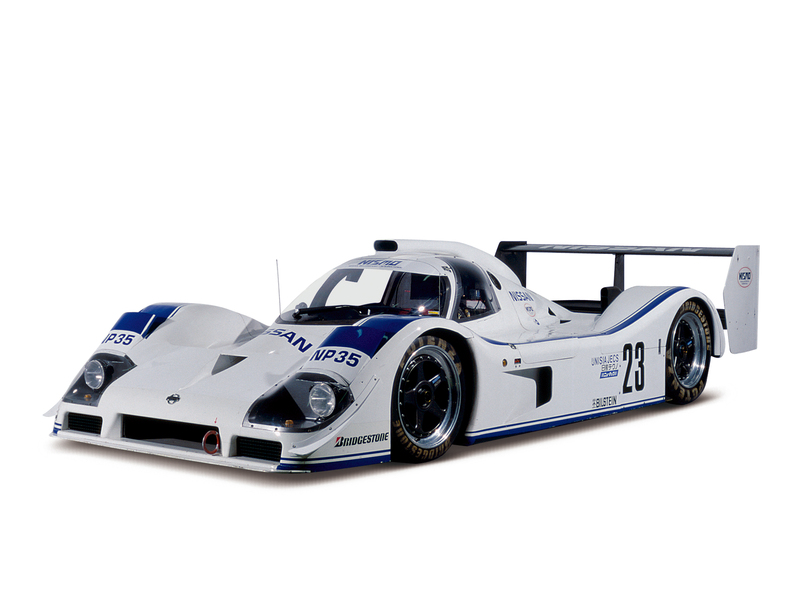 The car would be named NP35 for “Nismo P35” and the main visual difference would be the use of a shorter nose as well as a double deck rear wing as seen on the previous generation of cars. The chassis was made entirely of carbon fibre as opposed to the NPTI tubs and the engine was modified to suit the shorter races. The Nismo P35 version with high downforce JSPC aerodynamic package. The car was entered for the last 1992 JSPC round at the Mine Circuit. It resulted in a very poor showing, the car being 5 seconds of the pace in qualifying but did finish the race. A sad end to the car and unfortunately not a very good showing compared to their Japanese equivalent, the Toyota TS010… ..Hara Kiri must have struck after that..! Below is a little video showcasing the NP35 version both off and on track. Enjoy the sound ! Thanks to Mulsanne’ Mike for information and photos courtesy of Nissan Global. Previous Previous post: #KingOfTheMountain – The EFI Mercury V6 powered Lola T294. Next Next post: #Tech – The BMW Apfelbeck Cylinder Head.